I have just joined the Hello Poetry. 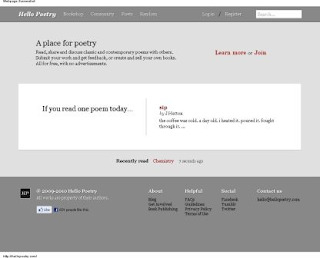 Really 'A place for poetry'! This is my page there and this is the poem I've just added: Utopia.